In this March 24, 2018 file photo, Ariana Grande performs "Be Alright" during the "March for Our Lives" rally in support of gun control in Washington. 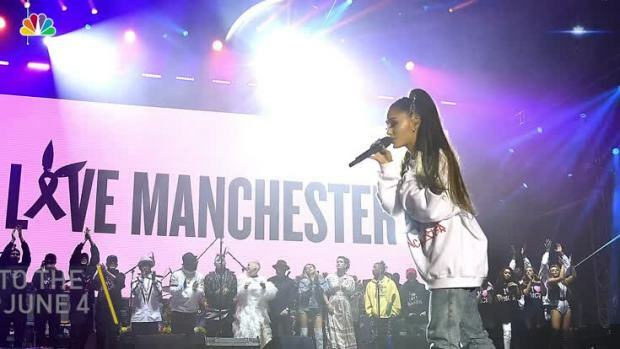 Grande has released her first song since a 2017 terrorist attack during her concert in the United Kingdom. The 24-year-old posted a video of “No Tears Left to Cry” on Instagram on Friday, April 20, 2018. The emotional song includes the lyrics: "Right now I'm in a state of mind/ I wanna be in like all the time/ Ain't got no tears left to cry/ So I'm pickin' it up, I'm pickin' up."